“Why send a religious organization taxpayer money to build something that only religious groups will use?” say critics. 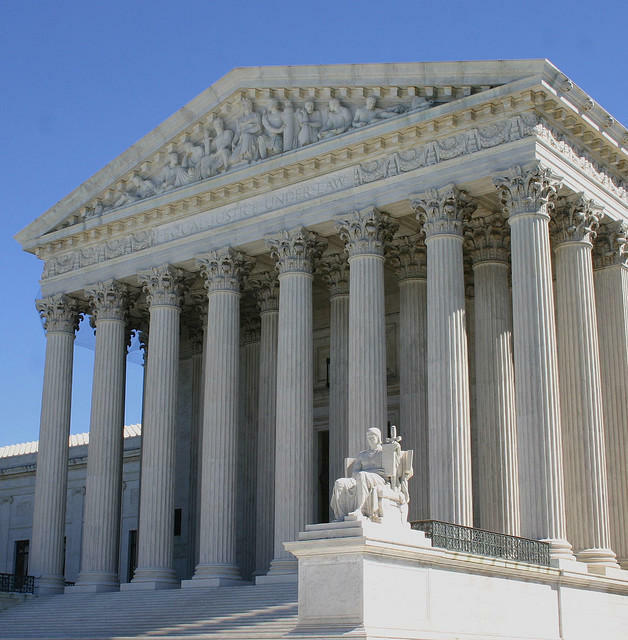 In a surprise decision, the Supreme Court has ruled that churches should be eligible to receive government funding, as long as the money is used for a secular purpose. In a 7-2 ruling, the court decided that Missouri’s Trinity Lutheran Church was wrongfully denied a government grant to resurface its playground. Many religious groups cheered, as the ruling will likely set a precedent moving forward. As it stands, more than three dozen states have laws which explicitly prevent churches from receiving any form of government funds. However, thanks to this ruling, that may all change. Churches in other states now have a strong legal case to challenge such laws. Critics of the ruling are outraged, calling it nothing short of the remarriage of church and state. Among the most outspoken opponents of the decision was none other than Justice Sonia Sotomayor. In the case, lawyers argued that Trinity Lutheran was discriminated against because of its nature as a religious organization. They insisted that the church should receive equal consideration for government funding compared to its secular counterparts. The Supreme Court agreed. But critics claim this is nonsense. Given their tax-exempt status, churches should be self-sufficient entities. Why send a religious organization taxpayer money to build something that only religious groups will use? Throughout history, the marriage of church and state brought with it corruption, suffering, and subjugation. Once formed, it proved a powerful partnership – and one not easily broken up. Any decision that pushes us back in that direction, critics argue, is potentially dangerous. It took centuries of efforts to separate the church and the state. Could that progress be at risk of reversal? While the government sending a church some money for its playground might not seem like a big issue, some worry that it could lead to bigger decisions down the road that aren’t so harmless. We’ve come a long way from the Dark Ages, and a few pro-religious Supreme Court rulings certainly won’t send us back there. However, history is full of dormant alliances that were later revived. 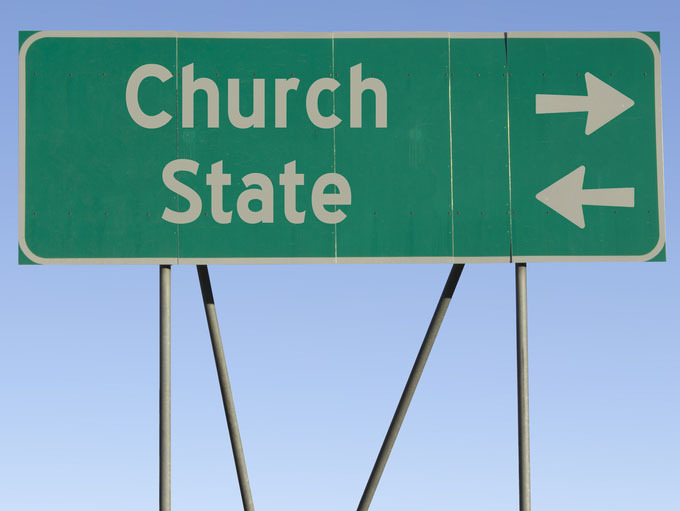 Is a remarriage of church and state possible? Is the latest Supreme Court ruling an outlier, or a harbinger? Is Christian Religious Freedom Under Attack? Churches Ask: Where Have All the Men Gone? In any way support Religious groups. no way, keep the gov. out of religion & religion out of gov. or we will all slide into hell together. It is a hell based on idealology instead of a “good” for all. Did you read the article? The decision was made by the supreme court. It had nothing to do with the president. in canada, and i dont know why.. but we have a choice to support the public school system ..
my parents having sent me to a private school, not catholic, had to pay monthly to do so.. and i was worth every penny i tused to tell them. bahahah. Where do you people come up with stuff like that? If they do political stuff, and they now get govt $$$, then they should start paying taxes like the rest of us. They have a budget for overhead, repairs and improvements and at least one full time employer making a living at it. It operates like a business and a PAC. Its time they start being taxed and monitored like business and PACs. Their constituents pay the taxes that fund the grants, AND the people who use those services, assuming they (the constituents) aren’t already on the government dole. Time churches started paying corporate taxes, and property taxes. Now they get a free ride, not contributing to the costs of streets and roads, fire protection, police protection, street lighting, and other federal, state, county, municipal and school district services. 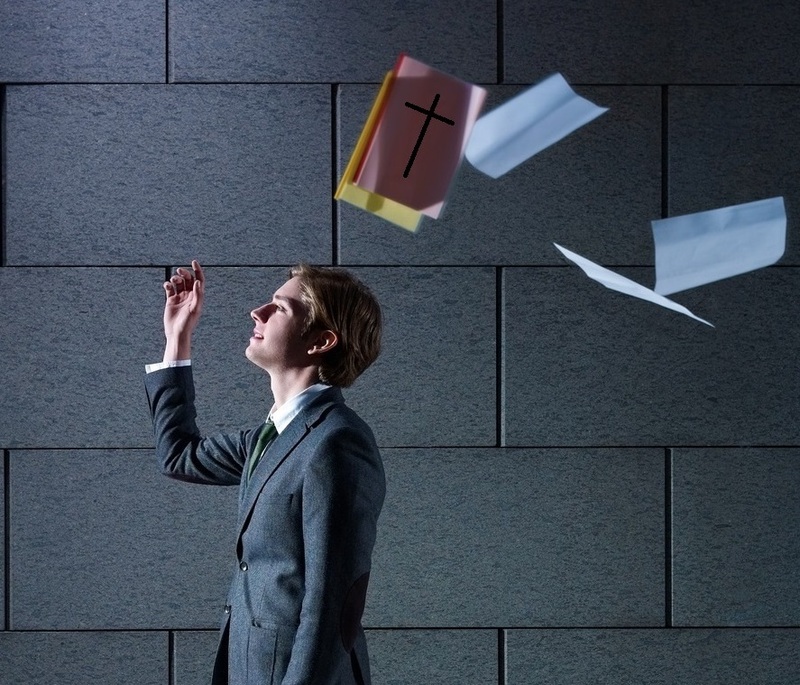 Churches claim to support government, often citing some words of Jesus as their reason. Yet they insist on a right NOT to “render unto Caesar” whenit comes to sharing in the financial burden of paying for government. “God is great”… Same thing terrorists say as they kill the innocent. Nobody will take your blind, thoughtless screaming seriously. Try thinking first. rules and regulations in canada of 3 families to consent for a group of immigrants not a single family to assure comfort and fairness. religion being brought by the immigrants,, but held against the people with its changed rules to suit. its ok. i get it. i wont ask to change the rules here. i will change my clubs. someone didn’t read the terms and conditions of posting. I’m sorry, Inga, do you think any website just lets you post whatever you want without looking it over? If no government money can go to any religious organization, then no government benefits can be given to anyone who BELONGS or subscribes to any religious organization, because they will then use that government money to support the organization. This includes EBT and subsidized housing. If you want to use that tired old expression, “slippery slope,” it would certainly apply here. Do any of you think it is wrong for the government to give you a tax deduction for charitable donations? I’m sure some of you do, but only because you don’t give to any charities, while you harp on other people and governments to give up THEIR money. Now, I’ll let you in on a secret: Governments don’t really have any money. They have to TAKE it from their citizens, or mortgage their citizens’ future labor to obtain loans. Another secret– not you nor any government or group or anyone should be able to FORCE anyone else to donate to anything. Those churches are supported by the altruistic leanings of people who WORK and out of a sense of responsibility to God and love for God’s children, GIVE. If a church does “social” work, they deserve “social” money. Other “community” organizations are getting government money ALL the time, for doing similar work less efficiently. The only thing most of these organizations do efficiently is write up grant requests. If you are unaware of this racket, you should inform yourself. It is going on in every town, and often run by unscrupulous opportunistic people. You think that a baker should have to do trade with ANYONE who comes into his or her business just because the business has use of roads, fireplugs, water, and police. Well, have you ever parked in a church-owned parking lot, or gone to a funeral or cemetery, wedding, or (God forbid) SERVICES and had to pay to get in or use that facility? Of course not. Why would you? CHURCHES OFTEN OFFER MANY PUBLIC SERVICES AT NO COST TO ANYONE BUT THEIR SUPPORTERS. You must remember many of these local groups do a LOT of good for people. Mentoring young people, soup-kitchens, food banks, tiny homes for the homeless, emergency shelters during crises, language lessons for immigrants, nurseries for young working parents, etcetera. Once in awhile, I agree with public opinion, but only after I have thought about something a lot. When I DO agree, it is not because anyone else does. It is because I have informed myself and considered the information from a factual standpoint and also one of principles. I also believe in “fair and equal consideration” in contracts and in justice. I know most of you just HATE churches and God and all that, but if you are one half as enlightened as you presume yourself to be, you can see that this is not a totally black and white issue. I’m not sure I’d agree with most of the folks here hating churches and God, but you have a very valid argument here John and I appreciate the depth of thought on the argument. I think the latest ruling is exactly what it is for this one case and ultimately kids don’t care about religion as they do about a fun and new playground. Others can use it to argue future cases, but I am confident that our SCOTUS will continue the discussion of separation of church and state very effectively. I’m not certain this is a beginning case of getting rid of church and state seperation, which, in my humble opinion, should remain strongly in place, less we have a government like Iran. Now, the topic at hand in NO CONCEIVABLE way violates this amendment, in spite of all the hand-wringing and shrill voices objecting to it. I just had to set the record straight. HEY Mr. OWINS, WHY NOT Email DUMP the IGNORAMUS tRUMP with YOUR COMMENT I KNOW HIM or the W H is N O T AWARE of it, DUMP tRUMP, BLAH, BLAH, BLAH !!! You just hate it when I am so eloquently correct about something. Once you start accepting government money, government regulations and control will eventually follow. It’s a choice–no money and more independence; or money and less independence. Both options have pluses and minuses. While I’m all for people following any religion they wish, should tax payer money support it? Nope. Plain and simple. If you’re part of a church, then your congregation should help support it. If it fails, well, maybe that says something about that particular church and its congregation. But I shouldn’t have to support a church with extremist fundamental views any more than they should have to support a church with extremely liberal views. On the flip side, the fundamentalists may be celebrating, but as long money is used for a secular purpose…any religions should be able to benefit from this…The Church of the Flying Spaghetti Monster can fix its playground too. Wait . . . Wasn’t this about a school receiving state funds earmarked for school playground improvements? The school is operated by a church, but there is a long history of church-operated schools being permitted access to state-run libraries and supplemental programs like symphony and museum field trips. Programs to improve education can certainly be made available to all students in accredited schools without violating separation of church and state. And I am disappointed that ULC left that important piece out of their article. 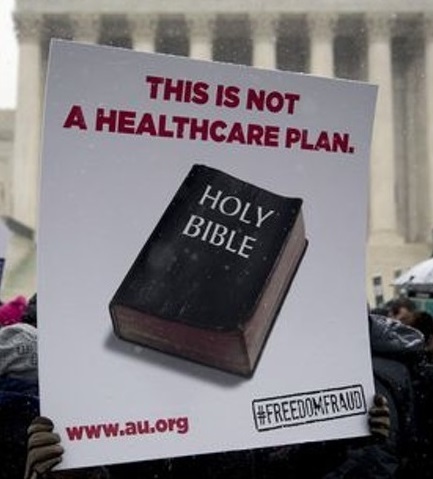 This decision is detrimental to the religious groups, the government, and the American people. The churches are giving the governmrnt a toe hold into their self self determination. Why would I want to free up money for those that deny science by letting them use the goverment handout for activities normally funded by their congregations. Dan, so long as there is a true educational benefit and strict oversight of funds I see nothing wrong with any school getting a slice of the pie. But I strongly suggest too we always keep Justice Sotomayor’s warning close at heart. That and Im not really into using my tax money for supporting church property developmemt. Chill Dragon there are more than one science. The one you speak of and I suspect hold so dear. Is the least of the three great sciences. The study of nature, the branch of knowledge that deals with the essential and incidental properties of material bodies. The next one is the study of practical sciences. These comprise arithmetic, engineering, astronomy, and music. The third and greatest is ‎which so many have closed their minds too is the science of theolog. It which deals with the knowledge of God, knowledge of His torah, and other [spiritual] things, such as the soul, the intellect, mind and spiritual beings. Though I understand you may not think so. Start studying quantum theory and nuclear physics and I tell ya it begins to sound very much like the science of theology. As for me I am what you would most likely call a religious person. But I can assure you I believe not in just one science of theology but all three. Dont be so close minded and judgmental of others. I would like to add that I live nearby a so called ‘christian’ school. Its a private school which opens its doors to the general public. If your parents have the money to pay tuition costs then your in. The school does have strict standards for behavior and if the student crosses the line too many times they get kicked out. There’s also a waiting line of parents a mile long trying to get their kids into this school because they have lost faith in the public school system. This school runs well enough without any government support. But if there was a need to help further the goals of a good education I’d be open to my taxes being used to help this school. And yes they do teach all the secular sciences too. It is a wise man who can learn from the ideas of others without having to accept them. – some dead greek guy. Churches are exempt from paying Tax! Now they can draw from a system they don’t have to pay into? I guess the system IS perfect! … for the corrupt! Can anyone say “Religious Welfare”? NO! I believe the separation of church & State should be an unbridgeable gap, wider than the Grand Canyon. When churches take federal money they open up the door to the government telling them what they can teach & believe. And while I don’t agree with what fundamentalist churches teach & preach, I would lay down my life for their right to do so as they believe. Taking federal money is a slippery slope they really should think several times about before taking that first step. OH, GOD! You are all so full of public school brainwashing! You all sound so stereotypically mainstream. It should make you wonder if you are actually thinking at all. You are the most hippo critical person on here Mr. Owens…Just because a majority of people think the same way (otherwise known as mainstream thinking) doesn’t make it wrong and just because that thinking doesn’t agree with what you think doesn’t make it wrong either. There are centuries of history to back up the argument that nothing good comes from Government and Church hand holding in any way..So in this i would say to you are you really thinking at all or are you just trying to prove what a “rebel” or what a “revolutionary” thinker you are to everyone? You are making my case with your over-the-top hysterical acrimony, Patrick. Thank you. I could not possibly have convinced anyone how unbalanced your thinking is, otherwise. AND WHAT SCHOOL WASHED YOUR TRAINFART THINKING BOOGER OWINS, AH ! YES the VILLAGE IDIOT SCHOOL for ADVANCED A Hs, DUMP the IGNORANT COWARDLY TRAITOR tRUMP, GOD is GREAT so is the US of A,…BOOGER, BOOGER, BOOGER YOUR TRAINFARTS have CHOSEN YOUR DESTINY………………..
With money comes rules. Remember the one years ago about feeding people (soup kitchens) where the governemt has a say in those kitchens getting government surplus food. A health inspector looks around and says. Sink is too small, frig needs to be larger, stove is not the right size the list went on and on..
With money comes rules. Government rules who does not see what ever you think is religious right, but what Washington thinks is right. Well there need to be an agency set up to resolve and legally vetted churches need help. I’m sorry 😐 to report that the part about an agency to oversee this issue is called their jobs. People of faith have built this country, even then of different religions. Let your faith lead you here.For they gathered in the Upper room. It has been proven that anyone can create a non-profit religious organization. I can create my own religion, like the “Church of SubGenius” which is a real religion that believes we will be invaded by aliens. I can create something similar, like worshiping the 2nd coming of the dinosaurs. Then I can request federal money to build my own temple, like maybe a prehistoric looking place of worship with a theme park. Wow, you can really make up anything you want and get federal funding. I am thankful that our tax payers will be paying for this and it’s all mine. Thank you Supreme Court, you really thought this through. Now I can quit my crappy job and have the Feds employ me for the rest of my life. Awesome!!! Why go to all that trouble? You can just be a liberal voter and the conservatives (the only ones dumb enough to work) will have to work planting the trees that grow all the free stuff you will live on. Free house, free school, free phone, free paycheck, free medicine, free free free. I hate to ask, Maher, but I really don’t know what you are calling freedom. Do you mean sitting on your arse and doing nothing is freedom? I mean, it IS, if that’s what you choose to do, but you shouldn’t expect to have all the things that working people have if that’s what you choose to do. So, What the heck did you just say? Besides the usual goon babble, I mean. Well, don’t hold it against me because I have a job, Maher. Someone has to work to pay for the benefits that you receive. Is that what you call freedom? That isn’t freedom. That is free-loading. Not the same thing. tHE pOSSIBLITY eXISTS tHAT I AM sLOW, mAHER, bUT I Am sO fAR aHEAD oF yOU and yOUR tINY pEA-bRAINED dEMON. i’LL cALL hIM- wASAbE pEA. YOU are so far AHEAD of EVERYONE John OWINS,YOUR a LEGEND in your OWINS MIND P O S, AGAIN I ask WHAT PRAY TELL what is this MAGNIFICENT JOB U pretend to HOLD MONICA ??? JUST WHERE do YOU DRAW YOUR CHECKS BOOGER OWINS the tRUMP CHEST ??? YOU MUST HAVE BEEN TURNED DOWN for EVERYTHING YOU MENTIONED THAT is WHY YOUR SO IGNORANTLY BITTER, EH ! VILLAGE IDIOT, DUMP the IGNORAMUS COWARDLY TRAITOR tRUMP, GOD is GREAT so is the US of A……. I HEAR a TRAINFART COMIN, TOOT, TOOT BOOGER OWINS………. Religion has no business requesting tax money. Religion has no business requesting laws that respect their values over others”. Religion is a matter of philosophy, not one of physics. All churches are businesses and should be treated and taxed as such. The business? Selling the hope of eternal life. The members of the church paid state and local taxes. The idea that the church has contributed nothing to the municipality simply isn’t true. Churches that fail a community, fail. There is a big church up the street. I know many of the members. They maintain a big grave yard. If the church and grave yard weren’t there, there would probably be a couple of cow pastures, which are taxed at an agricultural rate. There are many members of the community who have built homes around the church, and they pay property taxes. I’d rather have the church there than a liquor store or an adult novelty store (those are six miles away.). I have lived down the street from the church for thirty four years. Do I pay “higher” taxes because the church does not pay property taxes? I doubt it. If the land was taxed, there would be a cow pasture there. There would probably be less homes in the area. I consider the church an asset to the community. More so, than another cow pasture. Is the community, the county, the state, or the federal government going to pour tax dollars into the church? I don’t think so, even though the church runs a much needed daycare and pre-K and K.
I am a firm believer in separation of church and state. Ne’er the twain shall meet. SEPARATE, SEPARATE, SEPARATE or PAY TAXES, TAXES, TAXES LIKE the POOR U SUPPOSEDLY REPRESENT !!! Separate your head from your backside. SOMETHING created the universe. SOMETHING created life. For that I am thankful. I do NOT buy into religion. I do NOT buy into religious texts. I am supposed to trust somebody else’s word/opinion about the nature of The Creator? This decision is preposterous in the USA, IMO. This country is TRILLIONS in debt right now. Programs are being cut/reduced due to lack of funding…SECULAR programs…yet a religious organization that doesn’t pay taxes can now receive federal funds? For what?! Why?! Why are they not funding PUBLIC playgrounds FIRST? Why are they not funding PUBLIC endeavors FIRST?! Keep religious influence AWAY from the US govt., as much as possible. Keep the US govt. away from religion too. Leave the things of ceaser to ceaser.leave the things of God to God. Apparently some of this justices don’t. Read the Bible or they just don’t belive in the word of God.